Bonjour! 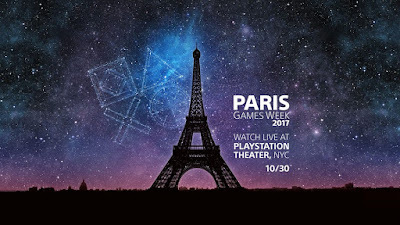 PlayStation has big plans for Paris Games Week and they would like you to join in on the fun at a free event in New York City. Attendees will not only get to watch the announcements alongside fellow gamers while enjoying free food and refreshments -- they'll take home a goodie bag full of PlayStation treats (no tricks)! Ticket supplies are limited. If you registered for a ticket, your seat is only guaranteed until 10:30 AM, so make sure to arrive at the theater before then. Those without tickets will be allowed into the event on a first-come first-served basis starting at 10:30 AM if there are any available seats. Attendees must be 18 years of age or older to attend this event. A valid form of ID providing age will be required to enter.